We are aware that sometimes patients need help with payment of their dental treatments, and here at Design Dental we offer payment plans to suit your needs so we offer a variety of options to pay for treatment. Payment is required at the time of treatment unless prior arrangements have been made. For ‘pay as you go’ option we offer cash, cheque, credit card, EFTPOS and HiCaps facilities. Direct deposits can also be made. 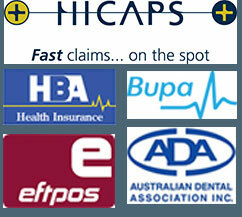 We are also a health fund provider for Medibank, HCF and CBHS. 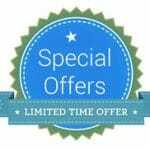 If you are a member of one of the above mentioned health funds, you will be able to receive quality treatment with a discounted fee. All Gold and White Veterans’ Affairs card holders are entitled to subsided dental treatment.We bulk bill DVA card holders for most dental treatments . We claim directly from DVA so you don’t have to pay upfront. The Child Dental Benefits Schedule commenced on 1 January 2014 and provides access to benefits for general dental services for eligible children aged 2-17 years. The total benefit entitlement will be capped at $1,000 per child over two calendar years. At Smile Craft Dental all eligible patients can have their completed treatment bulk billed directly to Medicare.